Many of us wonder by the end of the month where our funds have gone. A financial management program can help – assuming you have some financial discipline. Simply, such programs show whence revenue comes and where expenses go. 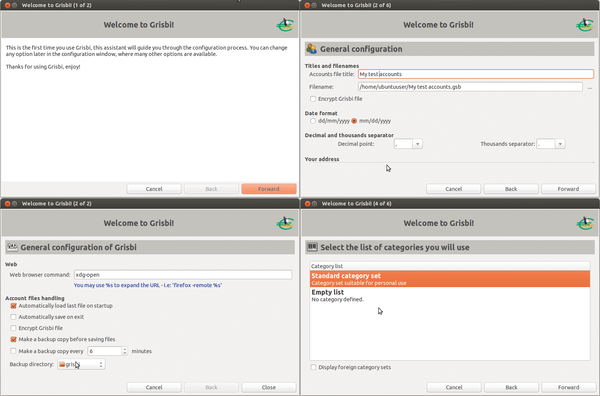 Grisbi  belongs to the ranks of simple financial management programs for Linux. Although it doesn't support online banking, Grisbi lets you use categories to break down very precisely what money is used for what purposes. A rather extensive, not to say complicated, configuration awaits you even before you start using the software. A configuration wizard poses many detailed questions about your managed account (Figure 1). Although the wizard recommends it, not all information is required before starting the program. You'll find many of the same dialogs that you can use later in Edit | Preferences . Figure 1: A wizard guides you through a very extensive configuration. A real drawback of Grisbi is the accompanying documentation . A halfway decent manual exists in French , but an English translation is currently lacking. The English wiki  contains a small selection of (outdated) content that unfortunately explains less than one would wish. Some documentation is also on SourceForge, but it pertains to version 0.6, whereas the current version is 0.8.9, So, there's a lot of trial and error in figuring things out. The various wikis are missing search capabilities, and their content changes from time to time; thus, keeping a local copy of the information would be ideal. To save the documentation locally, use wget . You can then use grep to search for terms and keywords (see Listing 1 for an example). So-called categories form the basis of Grisbi's financial management. A category has similar entries, used for the same purpose or issued to the same recipient. You select these categories, if used, at the beginning while setting up the program. 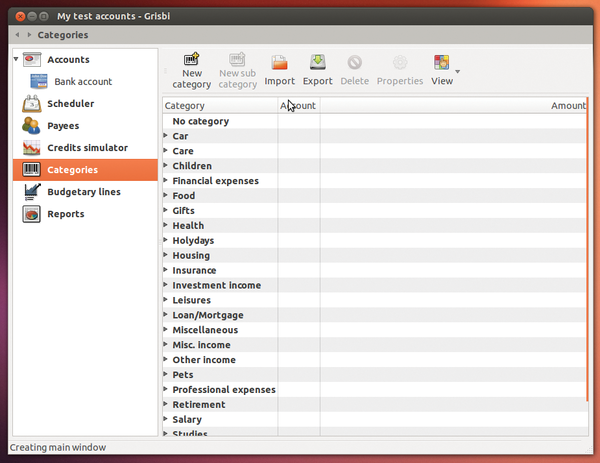 The default categories (Figure 2) include a variety of entries for income and, especially, expenses, and you can add your own categories as needed. Clicking New category or New sub category creates custom categories as needed, and with Export , you can save the category structure as an XML file. Later, you can see at a glance what amounts are in a category and over which time period. Figure 2: With default categories, you can set up classes for repeated tasks; all categories contain one or more sub-categories. SQLiteStudio, a compact graphical tool, lets you complete everyday tasks relating to SQLite databases quickly and easily.